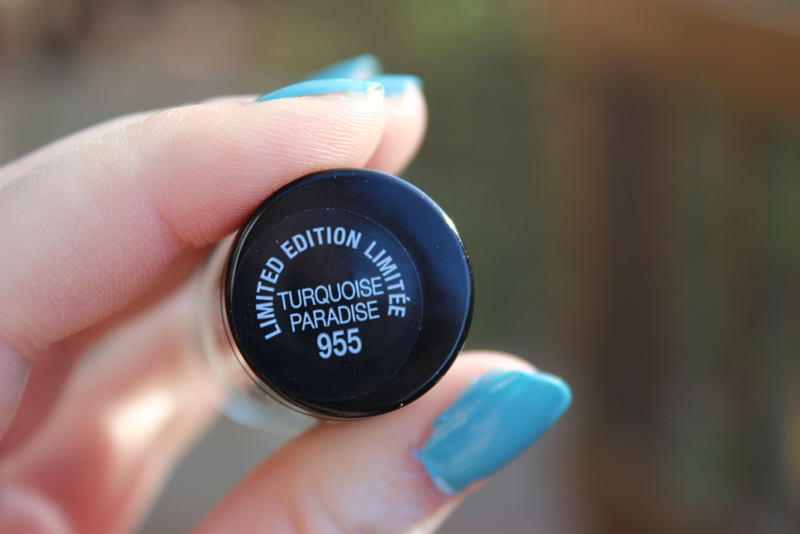 Hey loves, today I have a post on another Limited Edition nail polish by Maybelline in Turquoise Paradise. I was excited when I saw this one on display because I knew I didn't have a shade that looked like this in my collection, so I just had to get it! While using this nail polish I only needed to add to coats. The formula in this one was just as good as the other two I got from this collection. I fell in love with this one because I normally do not go for colors like this, but I really do like this one. I think this is a perfect shade for the summer time! Maybelline really did good with there Summer 2013 collection! This colour is so vibrant - love it. Such a pretty color! :) Perfect for summer!